Here, you can watch a beautiful video of the flight of the bumblebee, listen to the famous tune by Rimsky Korsakov or download his sheet music for free, and compare the flight of the bumblebee with a bee mimic - the Bee Fly!. In this wonderful video from Richard Hammond's BBC documentary Invisible Worlds, Richard explains how bumblebees are an aerodynamic mystery. They have large fat bodies in comparison with their delicate small wings. But as Richard explains, their bodies have sufficient muscular power to make their wings beat an incredible 200 times per second. In addition, they use their legs to balance their bodies further, and twist their wings to gain maximum lift. 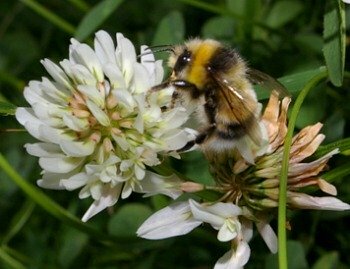 Bumblebees also have sensory hairs in their antennae which are involved in regulating flight movements by detecting the flow of air across the antennal surface. (From Bumblebees, by Ted Benton). Nikolai Rimsky-Korsakov, composer of The Flight Of The Bumblebee was Russian, and began composing at the age of 10 years old. He composed the piece for his opera, The Tale of Tsar Saltan, which he wrote between 1899 and 1900. The piece features at the end of Act III, during which the magic Swan-Bird changes Prince Gvidon Saltanovich (the Tsar's son) into an insect so that he can fly away to visit his father (who does not know that he is alive). 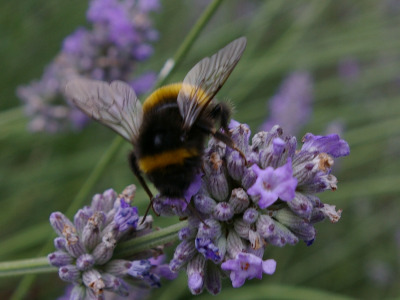 Download the free sheet music by Rimsky Korsakov Flight Of The Bumblebee sheet music here (opens new window).